Learn more about Claudia LaSmith, FAADOM, AADOM’s January 2017 Featured Member! I agree with this wholeheartedly. On any dental day you will catch me assisting Dr. Bell; all while making sure collections are at 100% and production is being met. My day wouldn’t be complete until I make sure we budget our dentistry to help lead the team to success. I truly do believe that together, everyone achieves more. I am here to support the team and patients. I have had patients surprised and say you were in the back assisting and now up front talking to me about a treatment plan. Multi-tasking is the the name of the Office Manager’s game. A: I love making a fearful patient a believer in Dentistry and the benefits it offers them. It’s my goal to always go above and beyond for all of our patients, making a patient smile. A: AADOM provides so many resources to a community of Dental Office Managers. I find comfort in knowing the other members understand what I go through everyday. Of course the yearly conference is amazing in all that is gained from it! AADOM has chapters all over the United States to promote the furthering of continuing education and support for all Office Managers who take advantage of being members. I am a proud board member and Treasurer of the AADOM Triangle Area Chapter, and have gained both knowledge and the continued support of the Chapter. Many of the business partners our practice works with are based on AADOM recommendations. Honestly, being a member in AADOM and an AADOM Fellow is something that I consider to be an honor and a privilege. A: I’d love to see training modules for Treatment Coordinators or Scheduling Coordinators. A: I have attended three conferences. The first was Orlando, then San Diego, and the most recent was Nashville. Can you tell I’m hooked on the program? I feel that attending the conference every year keeps me on my “A” game. All three were phenomenal. The knowledge I gained was immeasurable, and I benefit each day from what I have gained. A: We order supplies from Patterson. Christopher Harbinson is our Representative. He is great! A: My husband, Landon, is the love of my life. He knows all things dental…poor guy. We have a dog, Elle, that we rescued. My husband and I enjoy all that the Raleigh Triangle area has to offer! 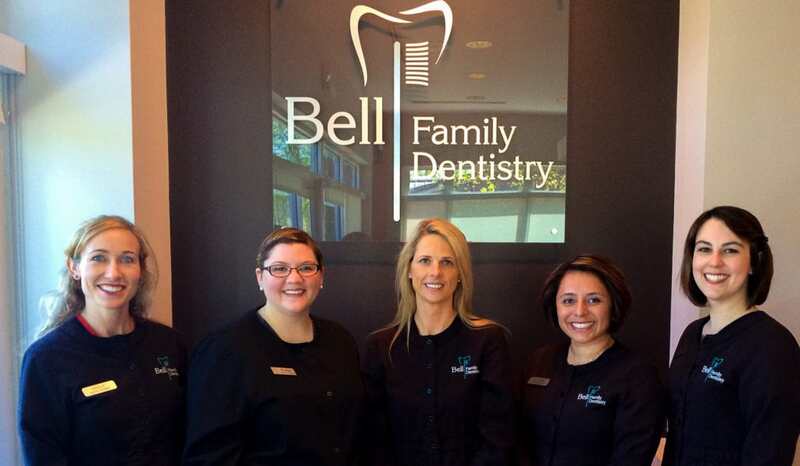 I have been in the dental field since I graduated from Dental Assisting school at the age of 19. Now, 16 years later, I would change any of it for the world! 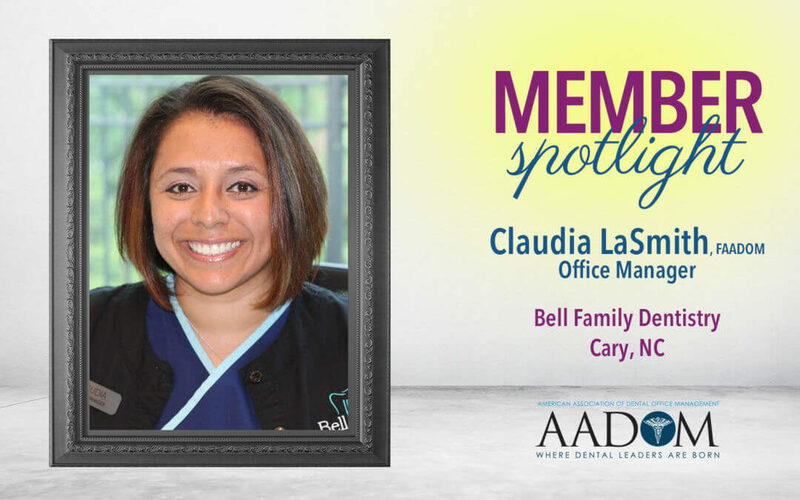 Congratulations Claudia on being featured in the “Member Spotlight”. We (AADOM Triangle Chapter) are so proud of you. It is an honor to know you. You are an amazing office manager, Treasurer of our AADOM chapter, and most importantly, a good friend!!!!!! If it wasn’t for AADOM, we would of never met!!!! I love working with you and everyone in the Raleigh area in getting our Chapter up and running. Keep striving for excellence Claudia….. you are a great example to us all. You are one FABULOUS WOMAN!!! !